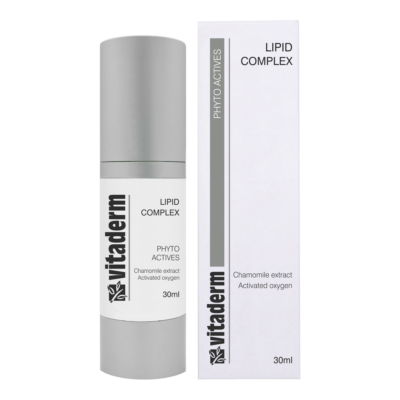 The Vitaderm range is highly recommended for sensitive skin. The range does not contain any artificial fragrances or colours, nor does it contain high levels of irritating preservatives. For allergy-prone skin, we recommend that only one product be introduced into the skin care routine at any given time. At least a week should elapse before the next product is added. Should your skin be extra-ordinarily reactive due to medication, food sensitivities e.g artificial sweeteners, or harsh skin care products, please contact our Head Office. We will gladly assist in devising a program to desensitise your skin. 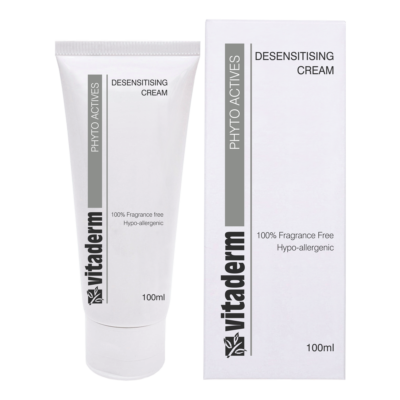 Cleanse with the Desensitising Cream. The above routine is a bridging program. Once the skin has been desensitised, a normal routine may be introduced.